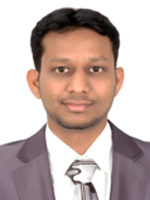 Dr. Tanveer Yadgir is presently working as Medical Researcher & Acting Head of Research & Studies Division with Dubai Corporation for Ambulance Services. He is supporting the Health & Safety division as Lead Auditor for DCAS. He has 10 Years of experience in Emergency Medical Services. He has assigned as study coordinator & member for PAROS (Pan Asian Resuscitation Outcome Study) in Dubai to collect data on Out of Hospital Cardiac Arrest since 2011. He is board member for International institute of sustainability in EMS. He has presented numerous research papers on Prehospital emergency care topics in International Conferences and published numerous research paper in peer reviewed and scientific journals. He has invited as a speaker to talk on prehospital emergency topics.